Cast type have stable magnetic performance, but sintered type is more simple on the technology term, it can be directly pressed into any desired shapes. Euke MagTech Limited is leading manufacturer of regular alnico magnet and irregular alnico magnet. The users can design the shape according his application. 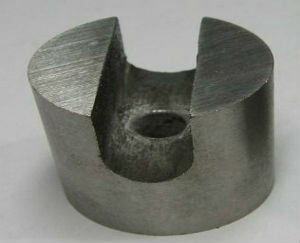 We supply Precise and delicate irregular alnico magnets, even if the shape is very complicated. The advantage of alnico magnet is that magnetic performance changes caused by temperature change is very small. Its maximum operating temperature up to 450 ℃ -650 ℃. It is still widely used in apparatus, instruments such requests on the products with high temperature stability. If you need alnico magnet, please contact us for more information.